Hi there friend-os. 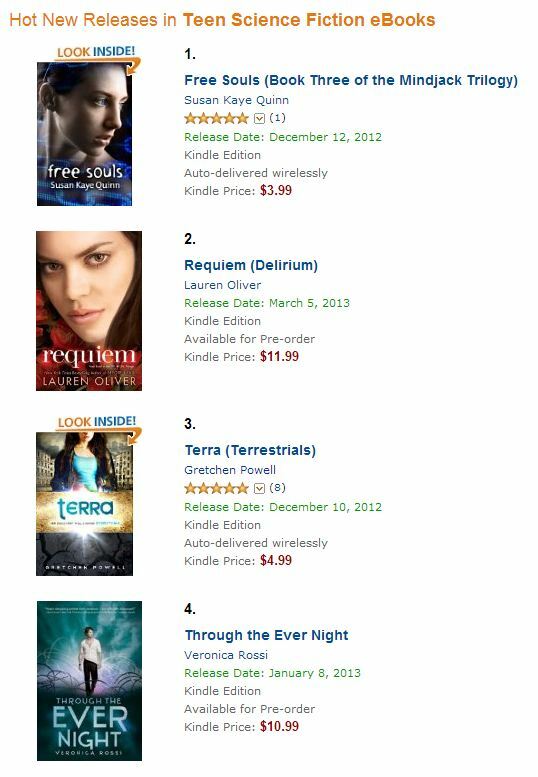 So, we’re right there on the cusp of almost being a full month past Terra’s release! Crazy! I gotta say, I have already been blown away with the amazing support I’ve gotten, and I am so, so excited to see things grow. I’m also trying reallyreally hard to get kickin’ with book 2, but I have to admit, it’s hard. I am continually distracted by any little Terra-related news mention or if I’m lucky, new review, and am obsessively checking my sales reports (like, seriously, it’s a sickness) and I have been finding it hard to make myself buckle down and just FOCUS. Now, that said, I do have pretty much the entire book (plus a lot of stuff that will seep into book 3, slash maybe not make it in book 2 just because there is a LOT OF CRAP ABOUT TO GO DOWN, and I have probably around 5,000 words actually written. Hahaha, so only, like, 80,000 more to go. NBD. Anyway, I thought it might be interesting for some of you folks to hear about the various ways I’ve been going about trying to market and spread the word. For those of you who are writers yourself, I’d love to hear your own stories for comparison, and for those of you who aren’t, maybe you’ll find it interesting nonetheless. Maybe. This is a list of ways I have already gotten some of the word out on Terra, and that have been successful for me thus far. First and foremost, my #1 way of spreading the word so far has been through my blogging connections. For those of you who are unaware, I write a moderately successful healthy living blog over at http://honeyishrunkthegretchen.com, and I have a lot of blog-friends who have VERY successful blogs of their own. They are really awesome, and several of them have been willing to write reviews or mentions of my book. So in addition to the superfantasticamazing readers that I have from my own blog, I am very fortunate to be reaching a pretty gosh-darned-tootin’ decent-sized audience through all of that. Now, book blogs are a category all of their own, because while it is totally awesome to get my book talked about on any blog, with any readership, um, ever, book blogs are specifically where people who are interested in books (and certain categories of books) are going for recommendations and reviews. This is a really highly-saturated market, which means there are both a lot of book blogs out there, but also a lot of authors, marketers, and publishers who are trying to get their books ON those blogs. So it’s definitely not an easy egg to crack. 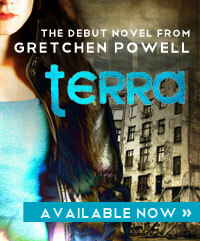 I spent a lot of time prior to Terra’s release researching and reading book blogs that are targeted towards YA books. 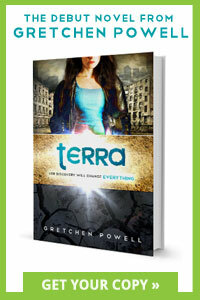 I went through the backlog of reviews, found whether they liked books that I deem similar to Terra, to get a sense as to whether they’ll actually enjoy the book. The last thing you want is to send your book to someone who hates your kind of book, haha. 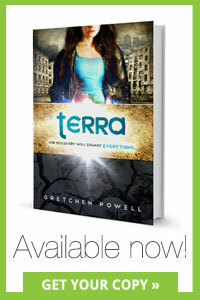 The books I tended to look up for comparison to Terra were The Hunger Games, Divergent, Delirium, Matched, Partials, and so on. 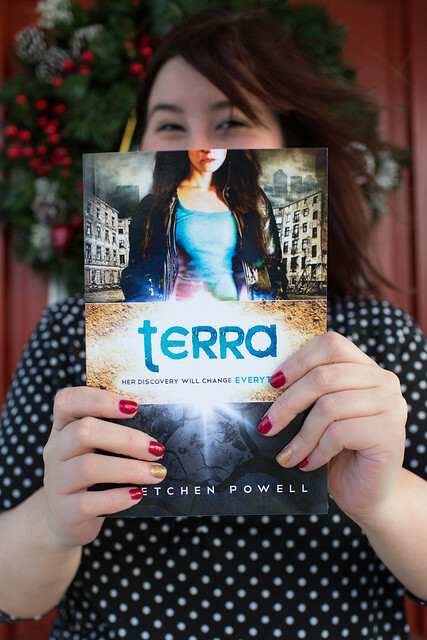 I’ve been very fortunate in getting Terra featured on a few awesome book blogs so far, and will hopefully continue to as word spreads and my book is being read by bloggers who deem it good enough to post about, haha. Reaching out to book bloggers can definitely be an investment, as many prominent book bloggers live overseas and you should be providing personalized pitches to each and every one. But they also usually cross-post their reviews to Amazon, B&N, and Goodreads, so there is lots of great exposure there, should you find someone who agrees to give your book a read. Of course, the flipside of book blogs is that you very might well end up sending your book to someone who does NOT like it, and book bloggers are generally not afraid of voicing their displeasure. Obviously, no book is going to be for everyone, but the difference between utilizing your friend-blogger connections, and sending your book off to be reviewed by legitimate book bloggers, is that your friends probably wouldn’t post a scathing review–if they didn’t like your book, they might not say anything at all, which would be a blessing in disguise. So, just be prepared to take the good with the bad (something we all have to do anyway, since, you know, we wrote books and stuff for people to read in the first place, hahaha). Twitter, Facebook, Instagram, Pinterest… the actual usefulness of social media to SELL books is pretty hotly debated. I know that I have lots of friends who bought my book because I told them about it on Facebook, but as a lasting marketing technique? It still remains to be seen. However, marketing is so much more than translating exposure into direct sales. Social media platforms provide a means for authors to connect and communicate with their fans in a new, exciting way. So yeah, it’s awesome when people tweet about your book, or share a Facebook post of yours, and it leads to more fans and followers. But what’s MORE awesome is getting to engage in conversations with fans about what they loved, what they didn’t love, what they’re excited for, etc, etc. Because of my other blog, I already used Facebook, Twitter, and Instagram on a regular basis, and I feel like I have a good handle on how to use them appropriately (note: it’s never appropriate to use your Twitter feed to spam your followers with nothing but “Buy my book” links, haha) but it’s never too late to start! So, technically Goodreads probably counts as social media. But since it’s so much more pertinent to authors than any of the ones mentioned above, I figured I should separate it out. So, Goodreads is actually something I wish I had known about far earlier than I did. I only signed up for my own account back in October, but it is an AWESOME site if you love to read (which, I have to assume you do, if you wrote a book, haha) and it really has helped me make informed decisions about books I want to buy and read for myself. Plus, there are a lot of really awesome people on Goodreads, including a lot of awesome book bloggers. (See how it all comes full circle?) 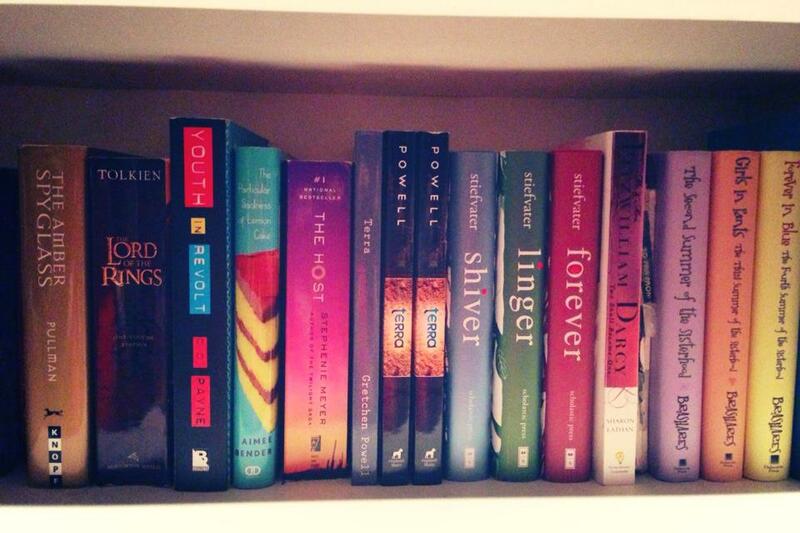 My recommendation is to create a Goodreads account ASAP, and start being active on it! 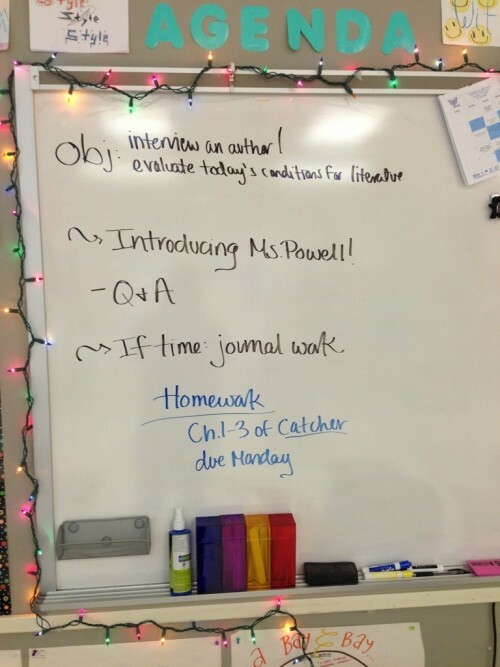 Set up your book and author information, of course, but engage with readers. Write reviews of your own. Join groups. Be awesome. GR gives authors a lot of cool options, too, like setting up Q&A groups and offering your book for giveaways. Ratings on Goodreads are probably equally as important as Amazon reviews, in my opinion. Also, WARNING: even though Goodreads does allow you to rate and review your own book, my personal recommendation is NOT to do so. I know that I am personally turned off when I see an author has given their own book a rating, even if they already have lots of reviews and are super popular and it doesn’t really affect their average (Jennifer L. Armentrout is one example that comes to mind). These are some things that I have coming up, so I couldn’t tell you how effective they are but I’m STOKED about them! I was recently (like, super recently, as in today) given an opportunity to participate in a book blog tour. These services exist all over the interwebs, and is basically like a middleman between you, the author, and the book bloggers themselves. A blog tour service usually has a bunch of blogs already in their database/as members, and will do the orchestration of getting bloggers to read and review your book–or, at the very least, offer a small promotional blurb–in exchange for a fee. I’m extremely lucky that I’m going to be working with a group that is providing their service to me for free, but I think this is a great option, especially if you don’t have time to individually pitch bloggers over and over again. My book tour is going to be coming up in February, so I’ll be sure to update you all on how that goes. I’m pretty fortunate to have a lot of friends who are excited about this book, and I’m extra fortunate to have friends who are TEACHERS who are excited about this book. At the end of the month, I’ll be speaking to a local high school English class and a creative writing group at the school. I’ll discuss being a writer, and talk about self-publishing, and I’m really excited to get the opportunity to answer any questions that potential aspiring authors might have. This should also hopefully be a great way to tap a market I don’t normally have access to, since I am sadly (gladly?) no longer a teen, and I don’t work with teens, and I don’t have teens (thaaaank goodness). I would love it if this turned into a reoccuring thing where I have the opportunity to talk about my experiences with youths who might dream of one day doing something similar themselves! One thing I haven’t done much of is any kind of book-related or author-related events. I never had a book release party, I haven’t had any book signings, nada. I think partially it’s because the idea of throwing a book-release party for myself seemed kind of vain (even though I am totally, 100% vain, haha), but I’m certainly open to the idea of doing them, if the demand was there. I think part of the problem too is that I just don’t have any real ideas for what events might entail, aside from the two I’ve already mentioned. So right now, I’m actually trying to work with a local bookstore to see if there are any promotional events/opportunities available, but this is definitely something I’ll need to think about some more. So! There you have it! Obviously, it almost goes without saying that the #1 thing that’s going to spread the word about your book is… people spreading the word about your book. And of course, that is something we have absolutely NO control over. 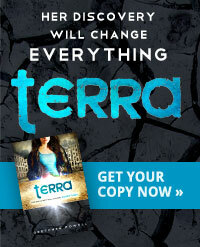 We just have to hope that people enjoy the book enough to tell their friends, family, coworkers, classmates, whomever! But it is nice that there are at least some things we can put effort into in order to get our hard work out there. Aaaaand since this post has ended up being about 4x as long as I originally intended it to be, I’m going to cut myself off now. Again, if you’re an author, or maybe just someone who has ideas about self-promotion, I’d love to hear your take! 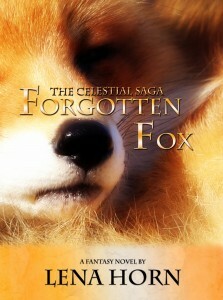 So I’ve decided that since I’m posting reviews on Goodreads anyway, I might as well start posting them to this blog. Especially since I’ve got a nice fat stack of books (both digital and hardcopy) to make my way through (all in the name of research! I’m so dedicated, aren’t I?) and also because with every review that I write, it helps me become more critical and constructive with regard to my own work. Anyway, first book on the docket is Delirium by Lauren Oliver. I’ve had this book on my to-read list forEVER, ever since I first heard the concept, and I don’t know why it’s taken me so long to read it, frankly. It was a quick read for me — finished in a couple of days. I did have quite a few qualms with it, and couldn’t really decide how I should rate it for a little while, but in the end I figure that the fact that I was thinking about it so much after I was done was a pretty good sign. So it gets a 3.5-star review from me. Need to process my thoughts a bit before I can rate/review. I will say the last 1/4 of the book was really riveting stuff… Torturous but delicious ending. Although I seriously cannot get over how many times the author used the word “swath” — seriously, what kind of 17-year-old uses that word so regularly?! Okay. So. I guess in the end I really did like this book, but I had to think about it for a little bit, haha. This is really more like a 3.5 star book for me, and I’m going to tackle this in pieces, because again, I’ve started to promise myself to be more critical and constructive in my reviews–since that’s absolutely what I would want for myself! Main Character: I had a hard time connecting to Lena as a protagonist in the beginning, partially because her issues with self-confidence and her self-image (I’m soooo plain, no boy would eeeeever like me, except this totally hot guy is obsessed with me and thinks I’m super beautiful so no big deal didn’t seem realistic to me. I mean, I guess they were, but I guess it’s also been a really long time since I was 17. Anyway, I liked how her character developed at the end, and when the big bomb was dropped (SPOILER ALERT!) about her mom still being alive, I thought she handled it very realistically without being annoying or superior about it. Also, and I know this is mostly credit to Lauren Oliver’s writing, but man, this book is really beautifully written. So many vivid, picturesque descriptions… really, really lovely stuff. Story: I thought the story was good. As mentioned in my status updates while writing, the book itself starts off strong in the first couple of chapters, then I quickly found the pace slowing a bit. Of course, the last 1/3 – 1/4 of the book is extremely fast-paced, and once I hit the 60-something-percent mark, I couldn’t put it down. World-building: This is probably where I had my biggest qualms. A lot of the world-building seemed very bare-bones. I know that this isn’t a hard-dystopian or anything, but all the circumstances surrounding the setting seemed very loose. This takes place, what, 60-some years in the future? And yet technology seems not to have advanced at all. And while I really loved the concept of love being identified as a disease, the control of information and access didn’t really seem that realistic–the inability for people to ever leave their cities, and the (SPOILER ALERT!) the existence of the invalids living SO CLOSE. I mean, it’s walkable soooo… how have they not been discovered/raided/torn apart by the government? It’s not like Portland, Maine is a bastion of farms and industry, right? How are they getting their supplies? How are they getting anything? The government would have to have a way to bring things in and out, and unless I just glossed over some detail where Alex explains how the settlement is hidden away and whatnot, I just don’t see how they wouldn’t be discovered and their settlement decimated. Anyway, I digress. Romance: I’m such a sucker, what can I say? I know this book has a serious case of insta-love going on, but I can’t help it. By the end, I was just as smitten with Alex as Lena was, reveling in his perfection (though a few more flaws would’ve been nice to see in terms of character layering, of course), but c’mon. I mean, who doesn’t want to be loved like that? This book is obviously a romance, with a dash of dystopia tossed in as the setting. It was an engaging enough read, though it definitely dragged in the middle and I found myself glossing over some of Oliver’s more descriptive (but again, beautiful!) paragraphs just so I could see what was going to happen next. I thought the character of Hana was particularly strong and well done, but I do wish there were some more secondary characters. And that we had gotten to see some grown-ups who weren’t just all awful, haha. I guess that’s what future books are for though, eh? GOOD NEWS EVERYONE (said in my best Professor Farnsworth voice — a reference that, if you don’t get, means you need to head to Netflix and watch all available episodes of Futurama STAT). I have a giveaway going on over at Goodreads for three (count ’em–1, 2, 3!) 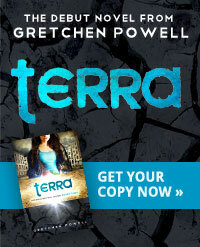 signed hardcopies of TERRA! The giveaway ends on January 31st. Even if you already have a copy, who can really resist a shiny new trade paperback decorated with my John Hancock, hmm? Ahaha. Plus, if you win, there might just be a little something extra in your mailing envelope… so head on over to the site now, or simply use the widget below, to get your entry in! Of course, I already mentioned that there’s a second, less happy part of this announcement. So, the bad news isn’t really bad news. It’s more like… a revelation of douchbaggery. Because, yes, I have discovered that, truly, my brain is a douchebag. Why do I say this? Well, I say this because even though I sat down in front of my laptop in the afternoon yesterday, all bright-eyed and bushy-tailed and ready to write my little heart out, I didn’t actually do any writing… until after 1 AM. Yep, as I was laying in bed, having not written a single word despite my best intentions, a scene started to play itself out in my head. And yeah, as mentioned, it was a good scene, too. I knew I couldn’t just go to sleep and leave it for the morning, for fear that not only the idea itself, but the motivation to write it would be gone by then. So I sat up, pulled my laptop back out, and started to type. Flash forward two hours, it’s 3 AM, I’ve written something that is, in my opinion, pretty banging (I really hope I don’t need to change it too much as the book comes together, as it’s a scene that takes place pretty far into the book), but it’s THREE FRAKKING AM and I have to go to work in the morning. Le sigh. Oh well. C’est la vie. The burden of having the tortured soul of an artist, or some crap like that, hahahaha. Thankfully, this late night spurt of writing has really invigorated my drive to get book 2 going, and am really excited to keep going with writing. So I guess the ends justifies the means in this case. I’m trying out Scrivener for book 2, a novel writing software that has been getting super high praise from authors–self-pubbed and traditionally-pubbed alike. Sean got me the software license and a “Scrivener for Dummies” book as one of my Christmas presents, so I’m slowly working my way into it. It’s definitely a different way of working than my old open-multiple-windows-in-Microsoft-Word-and-do-tons-of-copy-and-pasting method… and by different, I absolutely mean better. It’s just taking me some time to take full advantage of all the functionality and whatnot. And now for a semi-exciting, semi-announcement: book 2’s working title! 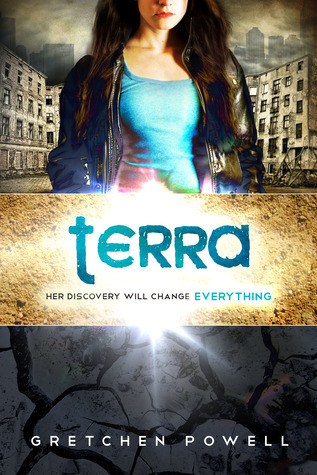 Terra was originally the working title of book 1, and I ended up sticking with it (I just loved the double meaning too much to let it go, y’know?) so who knows if this will end up as the final title, but it most certainly works for now. Drumroll? No? Oh, fine. Yep, Underground. Are we starting to sense a theme here? Hehe. Well, I’ll just let you all mull over that as I get back down to work, hehehe. Allons-y!